Il paesaggio della Bonifica is a well-known, 90 km long trial that spans some 175 km2 and crosses two regions, Emilia Romagna and Lombardy. It glides into the landscape through multiple trails that bind natural habitats with artistic majesty, intercepting the natural, hydraulic and architectural heritage of the Consorzio di Bonifica (Reclamation Consortium) of Central Emilia, and also the undisputed beauty of the landscape and nearby urban centres, almost entirely undiscovered nationally. 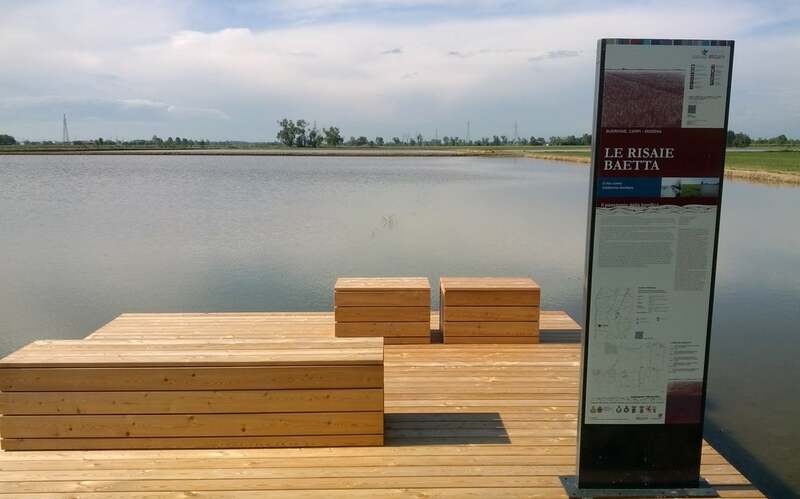 Design, construction and installation of a cycling and walking trail in the territory between the provinces of Reggio Emilia, Modena and Mantova. 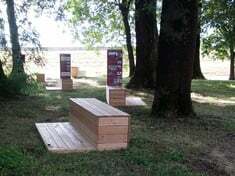 A nature trail rendered even greener thanks to the larch wood stop-off points, perfectly adapted to the surrounding area in a perfect union between nature and product. 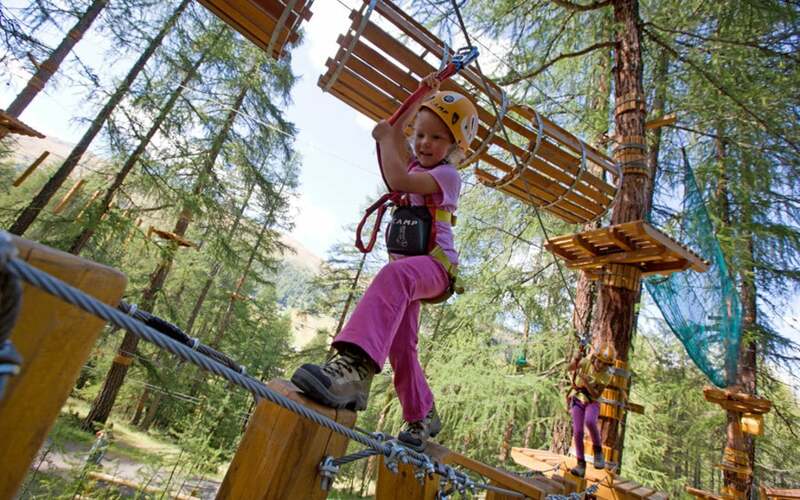 The Jungle Raider Parks are the original adventure and leisure parks built in the trees. 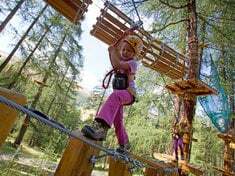 Skills-based trails suspended in air that stretch from one tree trunk to the other via wooden walkways, Nepalese bridges and lianas linking one tree to another. 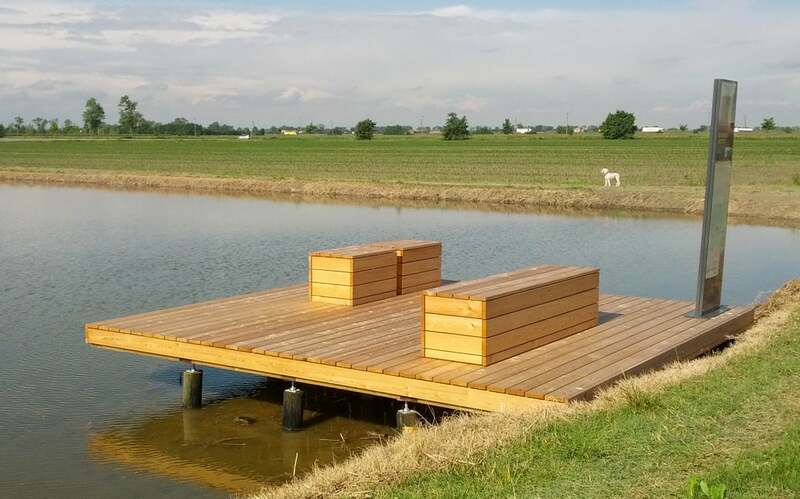 Supply of Pircher autoclave impregnated wood, with a 15-year guarantee against rot, in order to build equipment for adventure parks now in several locations in North Italy. Autoclave Impregnation protects the wood from the elements and from fungus and insects, ensuring total protection, 12 months of the year. Autoclave treated wood is resistant to the sun, rain and snow, and attacks from fungi or parasites.